Hi! I can't wait to show you what I've been up to this week. In addition to a few exciting projects going down at my house, we are officially having our busiest season yet in the design studio. The timing for this "rush" of online design requests couldn't be more perfect. Spring inspiration is in the air and we are having so much fun creating new, exciting spaces. Our goal was to give her a family room that is young and high in style, while maintaining a comfortable, family-friendly environment. To achieve this, we used a smart mix of metals, finishes and upholstery fabrics to create a contemporary, custom design that is approachable. 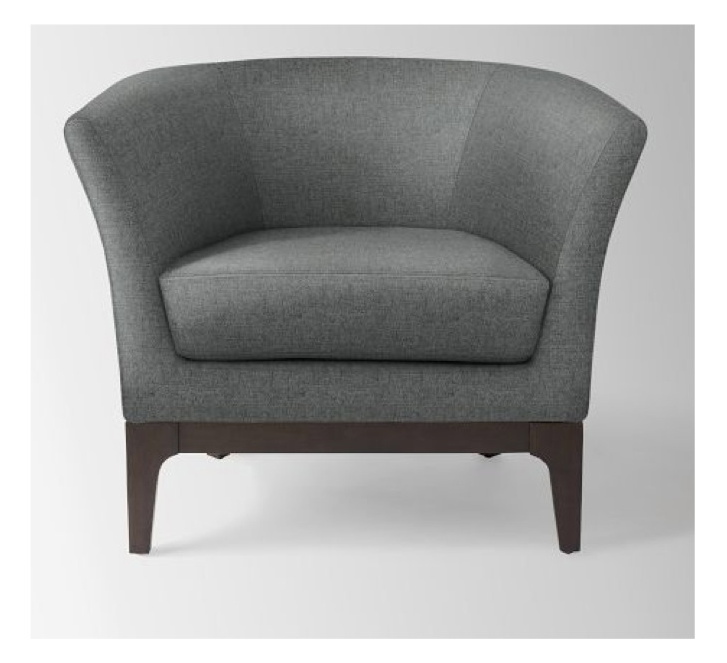 A mix of upholstery materials keeps gives the design depth. A structured, rich leather sofa paired with sleek, contemporary chairs covered in heathered wool is a dynamic combination. In addition to mixing the upholstery material, we also combined different wood tones and finishes within the space. These round end tables from Restoration Hardware lend a weathered wood tone that keeps the overall feeling casual. 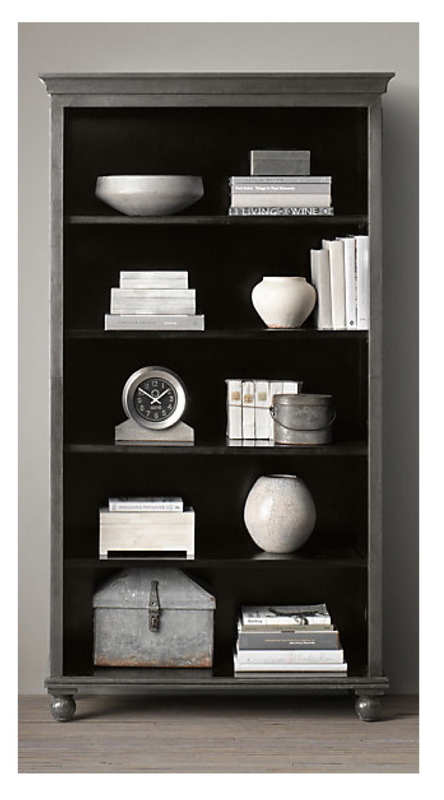 The bookcase we chose has an incredible zinc patina finish that is rich and unique. Scale was very important in this design. Courtney's room is large, it was important that the accessories we chose were substantial ast to get lost in the space. While searching for something large to place over her sofa, we discovered this gorgeous large scale art. 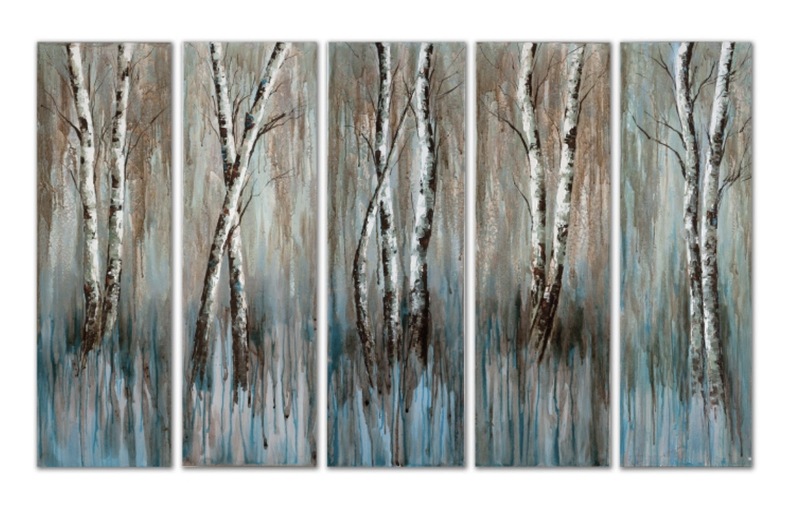 Birch trees painted in hues of bold blues, warm grays and charcoal are painted on a series of five canvases lends an element of nature to the design. This art is now available (and on sale) in my shop, please click here for more details. 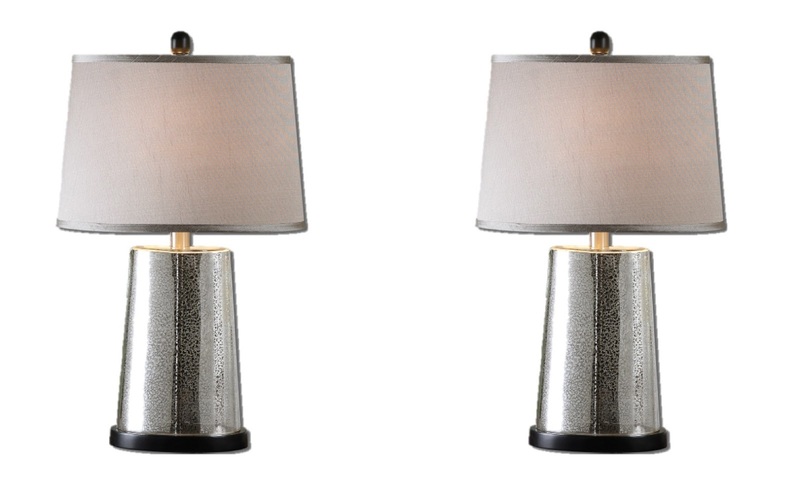 Keeping scale in mind, we chose these gorgeous, large-scale mercury glass lamps for the end tables. As jewelry is to an outfit, this lamp is the perfect shiny element that finishes off the room. The style is contemporary while the crackled mercury glass finish adds a hint of nostalgia. 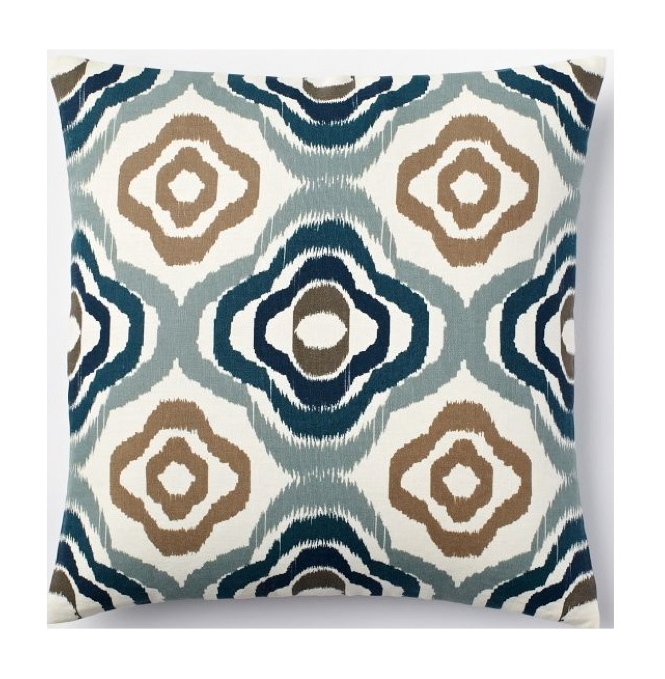 The gray shade made them the perfect choice for this design. 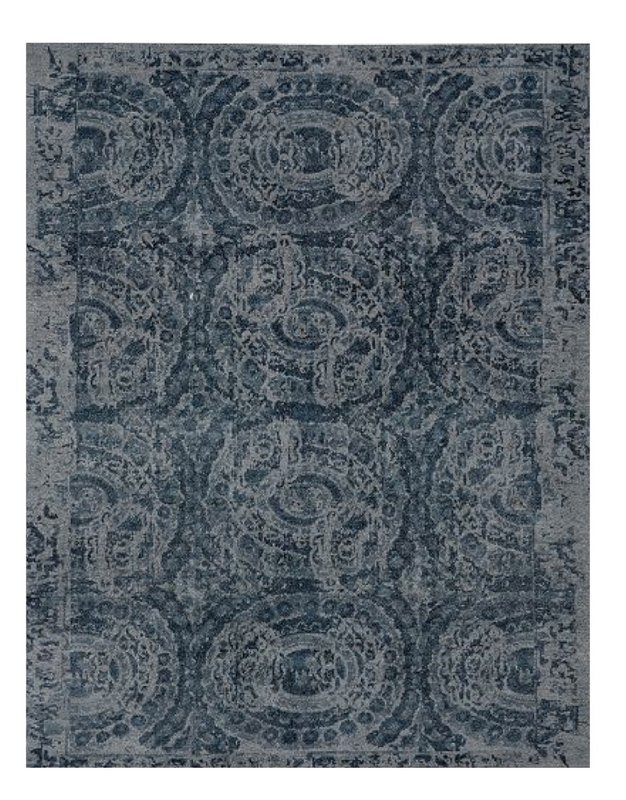 The area rug we chose from Potterybarn is soft and comfortable which makes it perfect for a young family. It has an interesting pattern in a monochromatic color scheme that grounds the space without competing with the other patterns we used in the design. 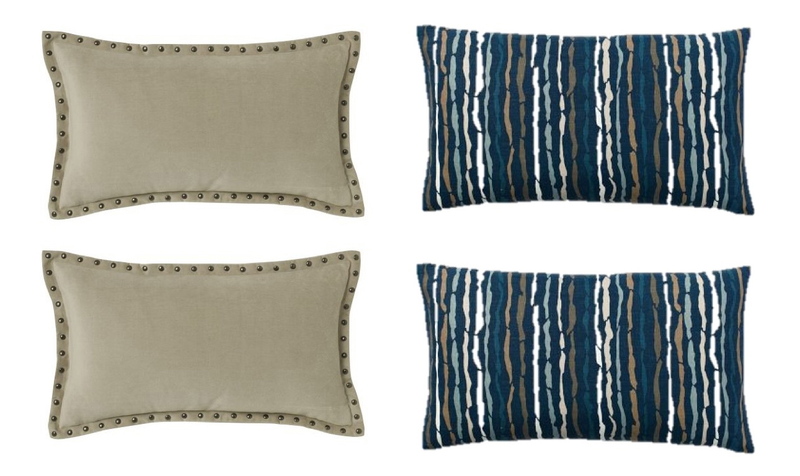 Speaking of other patterns, we chose a fun collection of pillows to give comfort, color and interest to the sofa and chairs. 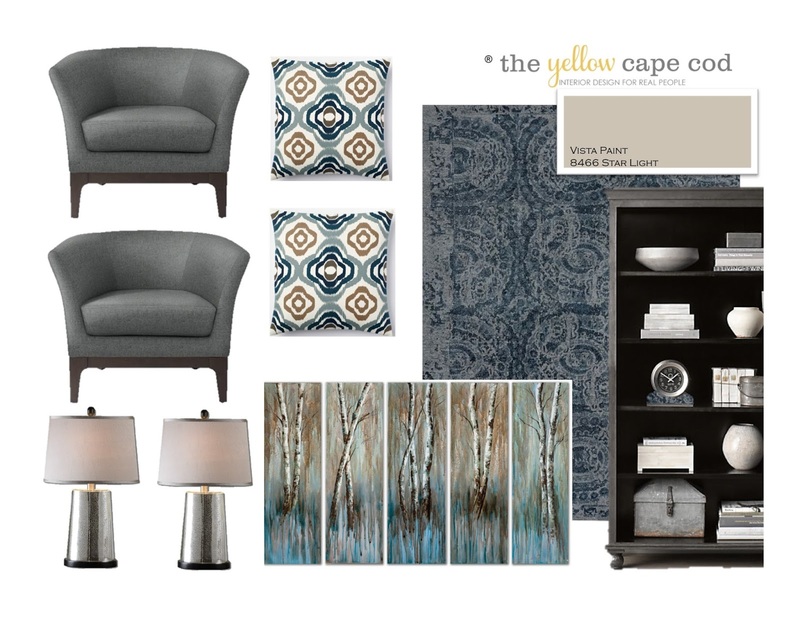 In addition to these new items, Courtney's design plan included a few existing design elements. Her existing end table looks great in between the new chairs. The room was already painted a fabulous paint color. 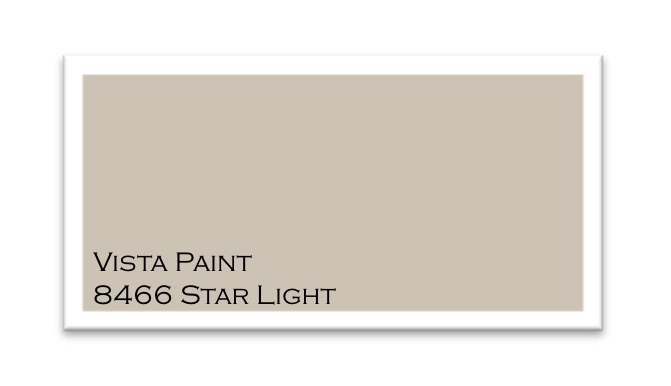 "Star Light" is a nice neutral that looks amazing with the new design elements. 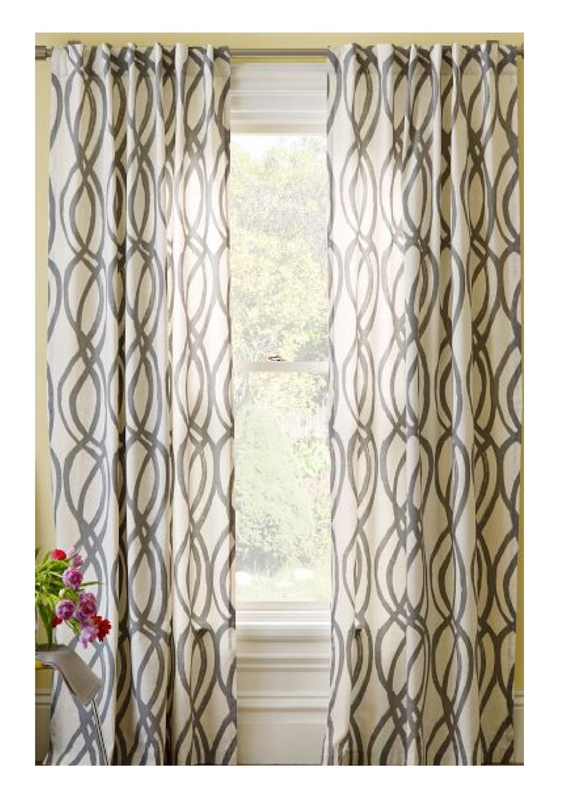 Courtney had also recently purchased these scribble drapes from West Elm, they work perfectly with this new design. 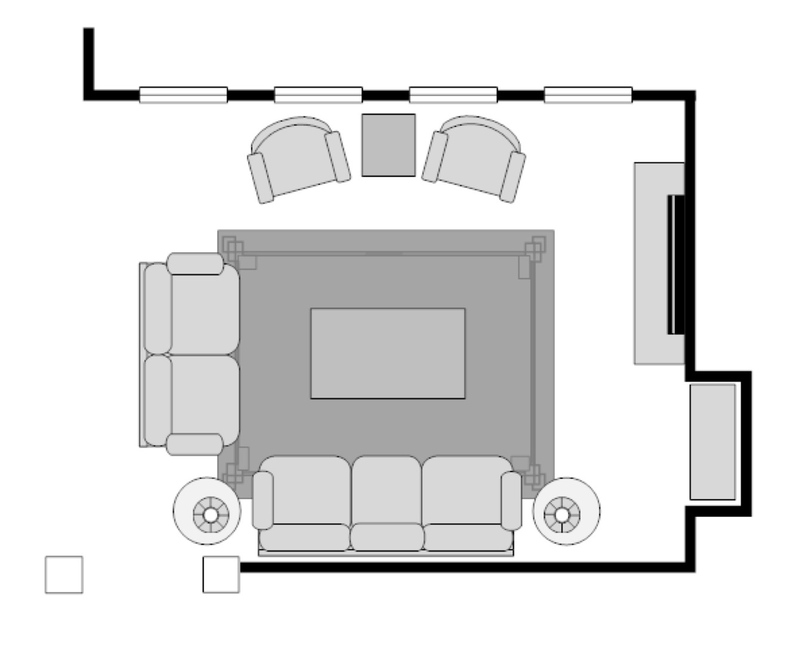 To show how everything fits into the space, here is a look at the true to scale floorplan we created of this room. This birds-eye view not only shows how each piece fits, but also illustrates the furniture arrangement and placement of the area rug. Along with new product recommendations and a complete product source list we also provided details on why we chose each piece. In the event anything we recommended is not perfect, it can easily be substituted by choosing items with the same general qualities (size, color, style). We also made recommendations for custom design elements to add character to the space; such as woodworking and a gorgeous fireplace makeover. If you would like to get started on an online design plan for your home, now is the time. Spring renewal has us majorly inspired! Thank you, Courtney for giving us this opportunity. ® The Yellow Cape Cod is a registered trademark.